Featuring a 1.6x big zoom, lens shift and keystone correction, the MX764 gives you an impressively wide range of projector installation and placement flexibility. This XGA projector also offers 4200 ANSI lumen ultra-high brightness, 5300:1 ultra-high contrast ratio and 20W big built-in speaker. The MX764 boasts a XGA native resolution, delivering crisp and accurate images every time to keep your presentation lookin' great. Built to fit your projection needs for medium to large-sized venues, the MX764 brightens your presentation with 4200 ANSI lumen high brightness. Now, you can intrigue your audience with clearer, more vivid pictures even in environments impractical to block out extraneous light. The MX764 boasts an ultra-high contrast ratio of 5300:1, defining images with razor-sharp details and refining them with a broad range of subtle color differences. What's more, with a contrast ratio this high, text is sharper, cleaner and easier to read. The MX764 comes featuring a 1.6x big zoom ratio, offering a real wide range of throw distance ranging from 1.07 to 2.72 meters. The added flexibility makes it easier for installing new projectors in venues without the trouble of reconstruction. This function allows you to make minor projection adjustments to the projected image by shifting the image up by 20°. This gives you the extra flexibility to overcome slight miscalculations during a new projector installation. The MX764 allows you to get rid of misshaped images, graphics and charts instantaneously via its ± 40° vertical keystone adjustment function. With the MX764, a perfect square is all you'll see! The MX764 features two built-in 10W speakers to help enrich your presentation with top quality audio performances. 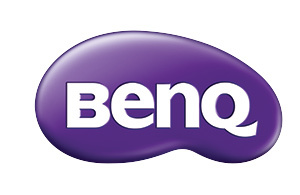 These speakers are sealed and secured within the projector housing by BenQ's anti-shake design to ensure projection stability at all times. With the built-in speakers, the MX764 can be used as an audio system when it's on the standby mode. This saves you the trouble as well as the extra budget for getting a separate audio system. The MX764 supports PC-less presentation in two ways: USB Reader and Remote Desktop. You can either give your presentation directly from the presentation files saved onto a USB flash drive or remotely by accessing their computer using a wireless mouse and keyboard through LAN. Either way, you won't have to carry your laptop around or require a PC stationed in every room. The USB Display feature gives you ultra-smooth, signal decay-free audiovisual projection with a simple plug 'n play. All you need is a USB cable to connect your computer to the MX764 to give your audience the best viewing experience. This feature also enables simultaneous projection from one display source. LAN Display helps IT managers implement projector management to control and display classroom projections, as well as transmit audio signals, through various display options. It also comes with simultaneous school-wide emergency broadcast capability. The MX764 enables LAN Display through a single LAN cable as well as a wireless display adaptor. LAN Control is designed to help IT managers perform day-to-day projector maintenance and repair tasks efficiently and effectively-offering them full access and control over every projector directly from their workstations. The MX764 offers seamless support for the Crestron and PJ-Link LAN Control system.